See’s Candies have been making chocolate and candy for over 90 years. They use only the freshest and finest ingredients. There are no added preservatives and they’re made in America. So… that makes them healthy and awesome, right?! See’s has over 100 candies and chocolates to choose from online or in one of their famous black-and-white checkered shops. See’s Candies has candy for all occasions. If you have a sweet loving grandma too, then maybe a box to take with you to Thanksgiving is a good plan. I have my eye on the Thanksgiving candy they have featured right now, they have some starting at $7-$10. Whoever you give these too… they will love you! Want to win some free chocolate?? (2) Southern Savers readers are going to win a $50 See’s Candy gift card. 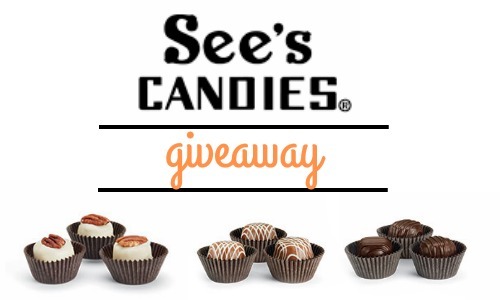 This giveaway is sponsored by See’s Candies, but all opinions are 100% my own.